A complete faired FlevoBike. This gives problems, because the frame hinges in the center, so that the fairing has to be divided into two separate parts. The front part will be heavier than normal, making it even slower to steer. 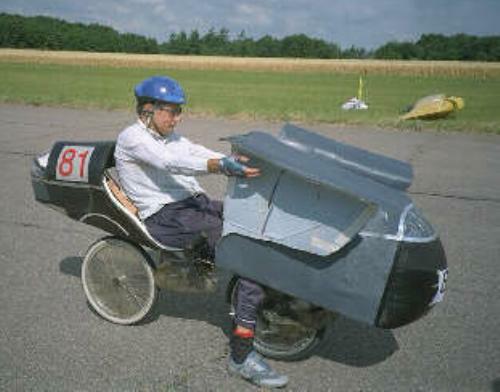 The bike will be sensitive to sidewinds, too, because the big part that is connected to the steering part of the bike. 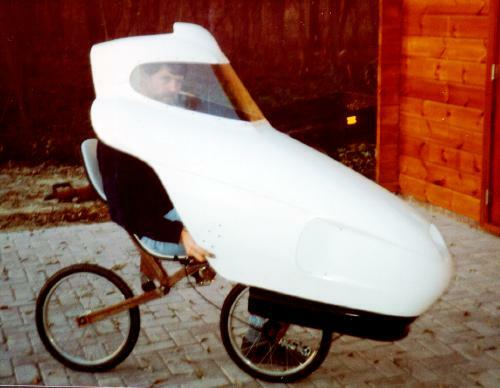 The Ecocar 2000. The steering mechanism is difficult to be seen. It is situated at about the same place as on a standard FlevoBike, but there is a second hinge, behind the head of the rider. 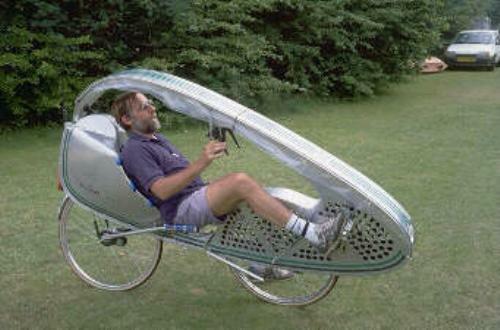 In some sense, the rider sits inside the hinge. When it's raining, you can roll out two plastic side shields some 10 cm. You'll catch some rain from the sides, but it is less sidewind sensitive than the former solution. This fairing was built by a student who worked for Flevobike. 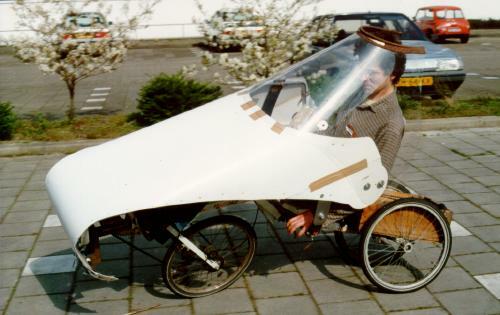 The fairing was everywhere curved in only one direction, so that it could be made very simply and cheap from a sheet of material. 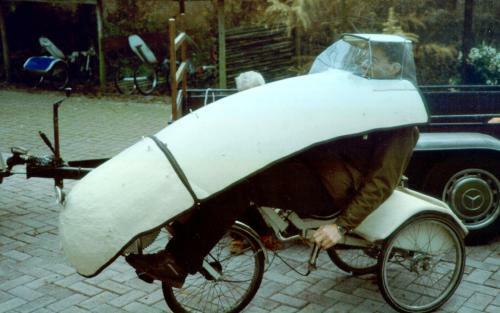 This fairing was built by a doctor (who's name Johan unfortunately forgot). It was hand made of glassfibre and polyester, and had a special transparent head part. A test with a Leitra fairing.